Fintech startup is what often comes to mind when thinking about this sector. This industry is, relatively speaking, the new kid on the block when compared to a financial services system that has existed in the same form for hundreds of years. But don’t let its newness fool you into thinking its revolutionary potential is only for the realm of maverick startups looking to press the restart button on the entire financial service industry. Gain huge operational efficiency and therefore a chance to reduce cost and enhance organisational performance. The financial services sector is probably going to look very different in the next 5 to 10 years because of Fintech and its transformational force. More importantly, it has the potential to create a more stable financial services system by bringing more competition and hopefully loosening the concentration of power to control global finances resting in just a few incumbents at the top of the pyramid. An even greater benefit of Fintech is that it is trying to bring about greater financial inclusion, bringing those very people that were left out of the financial services system, into the financial system. Imagine your life without a bank account. Financial inclusion has the potential to eradicate extreme poverty. Fintech startups have pioneered this new revolution. However, there is no reason why larger incumbents can’t disrupt their own market. That is of course, if they take a progressive approach to enhancing their industry, and not just worry about making more and more profits for their highly paid executives and a few institutional investors. There are many forces driving Fintech. Startups have come into this with an open perspective, looking for gaps where things are broken. They leverage technology and investor interest in this sector to launch and rapidly grow disruptive businesses that provide some challenge to incumbents. Take, for example, peer to business lending. Once shrugged off by the banks as a subprime activity, peer to business lenders are now competing with banks for the same types of high-quality SME (Small and Medium Enterprise) borrowers. Feeling threatened, incumbents are now rushing to collaborate with Fintech Startups. They support Fintech startups through accelerator hubs, mentorship and some financing in return for a small equity share. Let’s face it, however, the accelerators are a way for incumbents to keep tabs on cutting-edge developments taking place in their space. It’s a relatively cost-effective research and development. If the Fintech startup succeeds, the incumbent perceives that they could just buy up the new player or profit from equity already held. You may regard my views as controversial indeed – however, I speak my mind and convey my perspective of what I currently see developing in the financial services space. Many are entering into referral arrangements, to pass on clients that the incumbents could themselves not serve. In some cases now, at least in the UK, there is legislation that government put in place to force players such as banks to refer such clients that don’t meet their criteria. A forced collaborative effort indeed. I’m sure I’ll be proven wrong, however, I don’t see too many collaborative efforts between incumbents and the disruptive Fintech startup community to genuinely disrupt the status quo. What I see is incumbents taking an opportunistic approach or playing a defensive strategy. Let’s face it, if a market is going to be hugely disrupted, it’s less likely that that this is going to come from a segment of the market that benefits hugely from the status quo. Why upset the applecart? True disruption, rather than incremental disruption, will create new markets and business models that do not exist today. Take for example M-Pesa in Kenya which reinvented how people store, save and transmit money using mobile phones and not having to rely on a traditional bank account. True disruption brings global hope for financial inclusion. Incumbents are more likely to bring disruptive innovation in gaining operational efficiency and enhancing customer experience. Recently, at Vedanvi, we’ve seen a number of larger financial and non-financial services players taking an interest in Fintech. A FTSE 350 client discovered that Regulation and Fintech are their biggest threats to their business when carrying out their annual risk assessment exercise. To complement their strategy they are now looking to implement a Fintech led strategy, even willing to disrupt their own business model to ensure long-term sustainability and a dominant market position. However, Fintech is rarely going to succeed when tagged onto an existing business model or as an extension to a strategy. Even an acquisition of a Fintech business is less likely to bring about transformative change. What we advised this firm is that they need to start their transformative journey from within. Firstly by raising awareness at the highest level, then changing the culture to embrace innovation. Given the fact that the Board already recognised the threat of Fintech, we suggested that the Board tag on one or more, half an hour Fintech educational sessions to their board meetings. This process will start change at the top and it is the executives who will then propagate a culture of innovation down at every level and within every process of the organisation. They’ll create supportive environments to encourage disruptive innovation – not for their industry, but for their own business model. Failure and experimentation will be welcome and even encouraged. But of course, this must be balanced with protecting the current success that the firm already enjoys. Setting up intrapreneurial Fintech startup ventures within the group, but in a totally separate and autonomous business unit. Isolated culturally and operationally from the mothership, these intrapreneurial startups are given free rein to innovate how they serve customers or even find new customer segments to target, for example, millenials. They are finding ways to drastically cut costs through technology or deal with an ever-increasing compliance burden. Leveraging their sizeable and highly invested infrastructure to support new financial services models or new customer facing firms. Hypothetically, Google, Amazon, AirBnB, or Uber are well placed to attract and manage client relationships, while partnering with anyone from banks to insurance firms, investment managers and white label financial services products. Google has deep insight, even by the hour, of what customers really want. Using artificial intelligence, they can anticipate a client’s financial services need, even before the client realises they have such a need. They are trusted by consumers and in some way tied long term to this tech giant. Who doesn’t have a Gmail or Facebook account. With this sort of a relationship, banks and other financial services firms can explore low-cost customer acquisition strategies. Incumbents are sitting on a mountain of customer data. This data isn’t always used effectively for the benefit of the firm and the customer. Organisations are now paying closer attention to the data they have, and using big data analytics, artificial intelligence and automation to empower customers to make informed decisions while offering an opportunity for the firm to reduce costs. The internet can immediately warn an insurer of an underground pipe leak. Automation can shut down the water supply, preventing water related damage. A claim is automatically processed without the customer ever having to phone the insurance firm to make a claim. Having to deal with a mountain of regulatory change, financial services firms are looking to explore technology to help them comply efficiently and effectively. Regtech or technology-based regulatory compliance is an innovation where firms are exploring how they can use innovation in the quantitative and qualitative analysis of regulatory announcements. Machine learning helps to categorise these announcements and providing clues as to how best to implement the ensuing regulatory change. Once the new regulation is implemented, technology is used to ensure real-time compliance, and where possible, automatic compliance. Technology also helps to oversee staff compliance and takes preventive action when things go south. These pioneering corporate giants are challenging the status quo from within, launching pilot projects to bring transformational change to how they do business and serve their customers. In the process, they will find new revenue streams, greater market share and enhanced operational performance. Do you want to Explore a Fintech Strategy? If you are at the start of this journey, then the first and most effective step is to start with raising awareness at the Boardroom level. It surprises me to learn just how little awareness there is of Fintech amongst many highly respected executives of banks, insurers and investment managers firms. Others have full awareness but don’t know how best to evolve a Fintech led strategy, or how to go about implementing it. 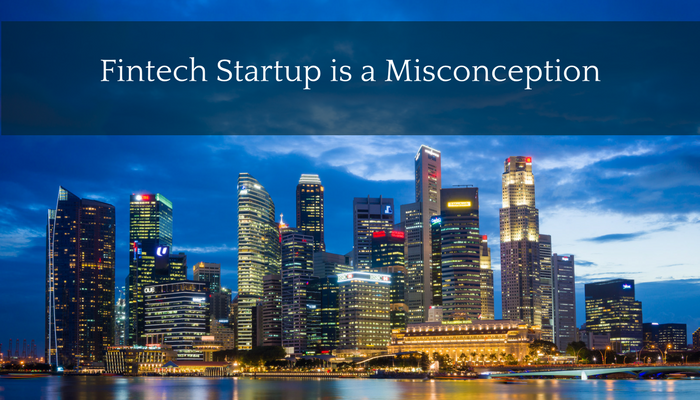 Yet other firms will struggle to bring about a Fintech startup mindset required to make the SHIFT. Most traditional firms struggle to come up with new ideas or foster an environment where innovation and disruption can flourish, but not at the expense of current success. Vedanvi is currently liaising with such firms, as well as Fintech start ups, helping them shape their Fintech strategy. Once complete, the next steps we’ll take are to help them implement their strategy, by working closely, with a hands-on approach, with their team. Do you work for an established corporate player? Have you considered how Fintech can complement and enhance your business strategy? Do you understand the risks your firm face if you don’t respond to the threat of Fintech? Have you thought about the wider social and economic impact that you can make? Board awareness sessions facilitated by an expert outsider are often taken more seriously than highly researched inside pitches. Research the market to identify disruptive forces and innovative Fintech led business strategies or models that could be the perfect strategy that your organisation could pursue. Need to convince your Board through a business case. Let’s work together to develop that compelling pitch or business case, leading to Board acceptance and most importantly, budget approval. Ideation workshops where your team is struggling to brainstorm innovative ideas. Need help to launch your Fintech pilot project or venture, we’ve recently helped one of our clients from concept to launch, we operated the business, and are in the process of handing it over, once up and running. We can also help to build a team.